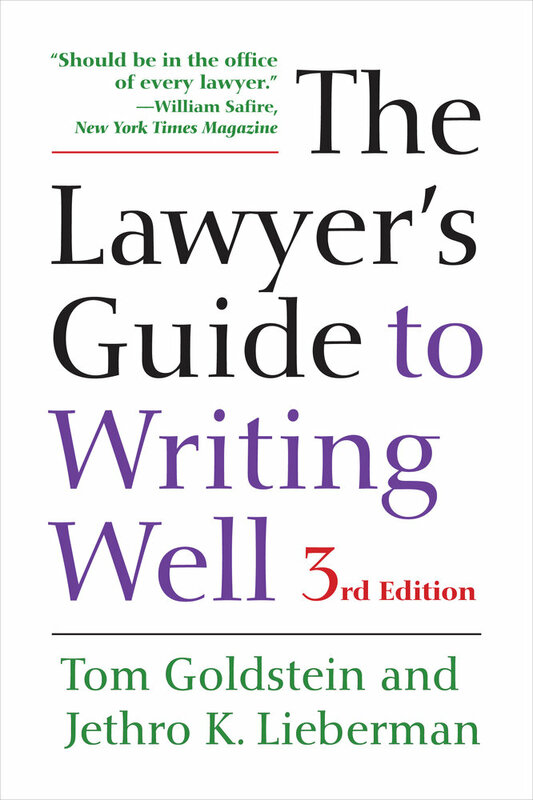 In this critically acclaimed book, Tom Goldstein and Jethro K. Lieberman demystify legal writing, outline the causes and consequences of poor writing, and prescribe easy-to-apply remedies to improve it. Reflecting changes in law practice over the past decade, this revised edition includes new sections around communicating digitally, getting to the point, and writing persuasively. It also provides an editing checklist, editing exercises with a suggested revision key, usage notes that address common errors, and reference works to further aid your writing. 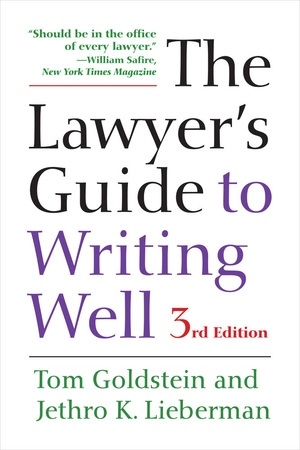 This straightforward guide is an invaluable tool for practicing lawyers and law students. Tom Goldstein is Professor of Journalism and Director of the Media Studies Program at the University of California, Berkeley. Jethro K. Lieberman is Martin Professor of Law Emeritus at New York Law School, where he was the director of its writing program for nearly a quarter century. He is the author or editor of more than twenty-five books, including The Litigious Society. 1. Does Bad Writing Really Matter?